What is carbon offsetting, and why does it matter? We can't deny the earth is warming. 2015 was the hottest year on record, and since 2000, we've had 15 of the 16 hottest years ever (the other was in 1998). All driven by our insatiable appetite for fossil fuels. Energy supply is the largest producer of greenhouse gas (GHG) emissions – 31% in 2014. So to help stop global warming, we need to move to 100% renewable generation. But this will take time. Although we've made great progress integrating renewables into our supply, the UK is yet to embrace a green alternative to natural gas. Until it does, we can offset carbon to lessen the impact of burning natural gas – exactly what we do for our Super Green Octopus customers. So how does carbon offsetting work? Carbon offsetting measures carbon output from one activity, then removes or prevents its release from another. First, we measure your carbon output by looking at how much gas you use. Although your gas is measured by volume, you can represent it as kWh. And for every kWh used, 0.184 kg of CO₂ is released. A medium usage household burns around 12,500 kWh of gas each year (Ofgem), which in turn releases 2.3 tonnes of CO₂. Since trees are excellent carbon absorbers, many offsetting projects involve either planting trees or protecting them from deforestation. A young tree will absorb about 6 kg of CO₂ per year. A mature tree (10 years old) will absorb around 22 kg per year. 30% of the earth's surface is covered by trees, so assuming we can prevent their destruction (and plant more) there's a lot of potential to store, or "sequester", carbon. 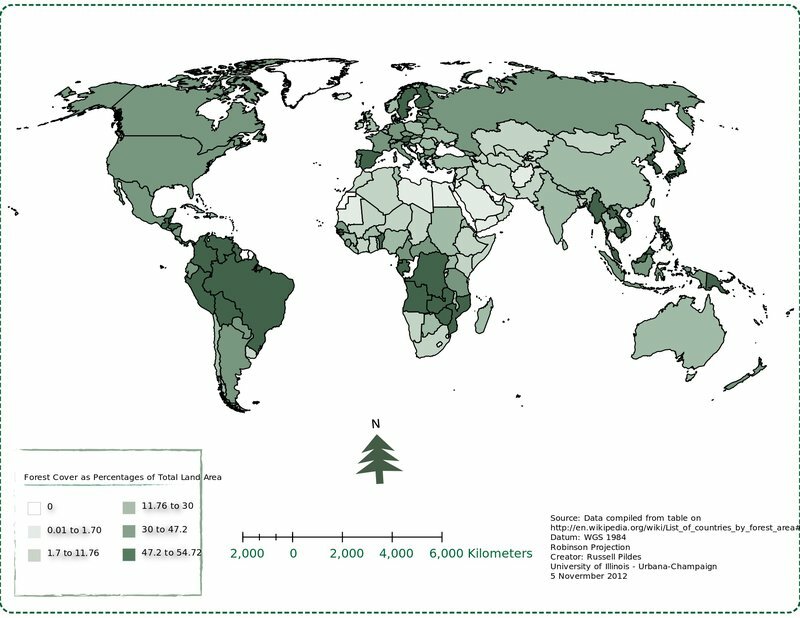 This map shows forest cover as a percentage of total land area. Clearly, the tropics – specifically parts of South America and South Africa – have vast areas of dense forest. We work with carefully selected partners to ensure that for every tonne of CO₂ released by Super Green Octopus customers, one tree is planted in the UK, and the tonne is fully offset by protecting areas of the Amazon rainforest in Brazil. This project goes by the acronym REDD (Reducing Emissions from Deforestation and Degradation) and works by protecting rainforest from threats such as logging, burning, and degradation, which would otherwise release the carbon stored (all REDD projects use land that had been certified for deforestation). 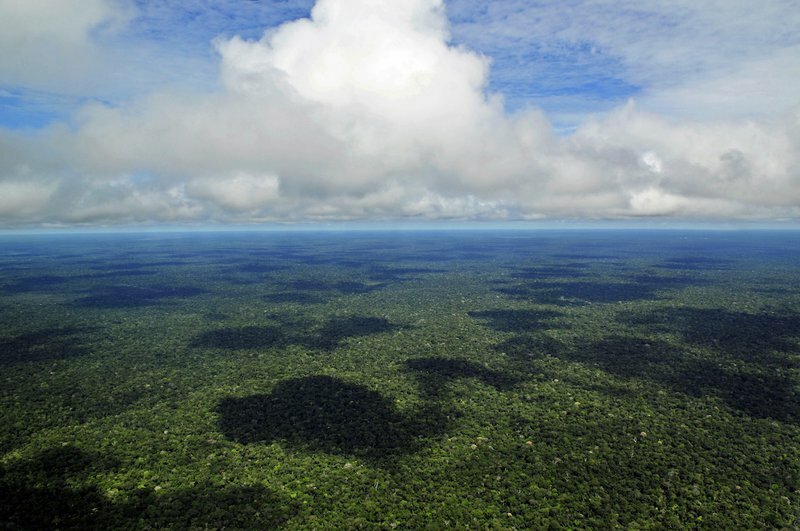 Often called the "lungs of the earth", the Amazon rainforest is an extremely important part of the world. It's a haven of biodiversity, holding 10% of all the world's species. It regulates global weather systems, binds soil, gives shade, shelter, and sustenance. And along with other tropical rainforests, it acts as a carbon "sink" that counteracts CO₂ emissions from human activity. The Amazon rainforest covers an area of 5.5 million km², crossing many countries, including Brazil, Peru, Columbia, Ecuador, Venezuela, and Bolivia. But over the last 40 years, the Amazon has lost almost a fifth of its size through extensive deforestation, mainly for cattle farming. Natural habitats have been destroyed, species wiped out, and indigenous people have lost their homes and livelihoods. Its weakened ability to draw moisture inland has resulted in drought (which further damages the ecosystem) and an increase in the severity and frequency of weather events in other areas. Worse, its ability to act as a carbon sink is falling, as degradation, logging, and climate change take their toll. Our offsetting project helps combat these harmful changes. It protects the project area from deforestation, recovers degraded forest, organises forest fire brigades, and much more. It also creates jobs through forestry management and stewardship, which means local people aren't forced into destructive farming practices and "cash crops" to earn a living. 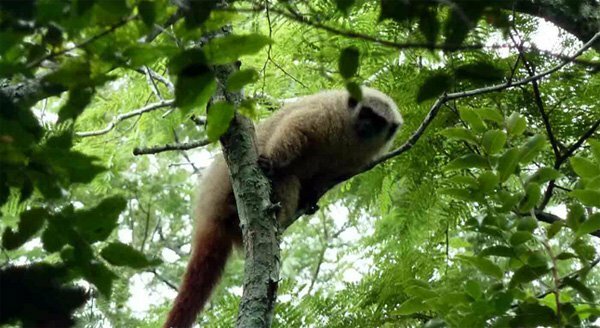 There is a team within the area providing continuous surveillance, as well as satellite imaging to monitor and maintain the preservation of the forest. Our partners’ offsetting projects meet the Quality Assurance Standard (QAS), which verifies offsetting projects against 40 separate checks. Offsetting providers carrying the QAS stamp are audited every year by an independent party to make sure the projects fulfil their promises. They also meet the Verified Carbon Standard, which stipulates how carbon savings are calculated – everything from measuring the carbon in biomass (trees, plants, and grasses, for example) to the likelihood of an area's immediate deforestation. Look out for these logos when checking out offsetting projects. Is it all about trees? No. Offsetting can take a great many forms, including investment in clean energy, improving the efficiency of machines and appliances (such as gas stoves, for example), or simply changing from filament bulbs to energy-saving LEDs. Some of these provide excellent social benefits, too. The cookstove projects improve the health of those for whom traditional cooking has meant cramped, smoke-filled rooms that cause respiratory problems and air pollution. 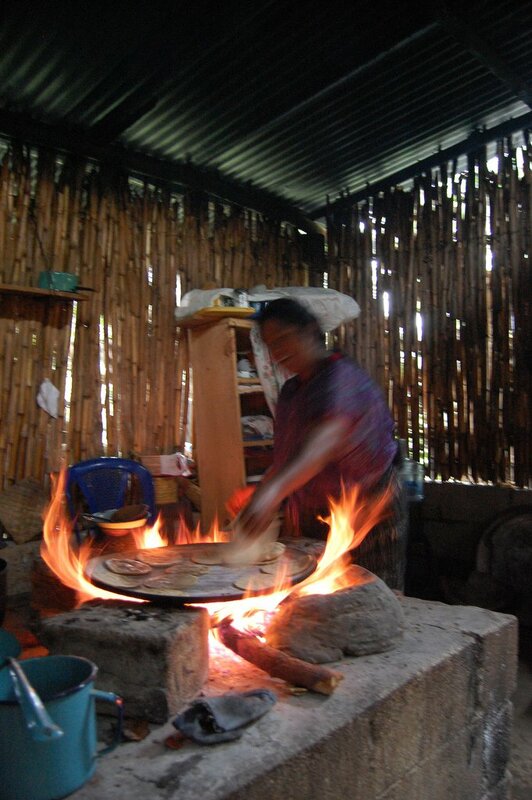 A Guatemalan woman cooks using a traditional stove. Normally kept inside, they pollute the air and damage lungs, and the wood is normally taken from forest nearby. Unfortunately not. Some argue that carbon offsetting allows individuals and companies to pass on their environmental obligations to others instead of encouraging them to change their ways. While this might be true for some, it's certainly not for many. Most companies are climate-conscious, running paperless offices, virtual meetings, and energy efficient workspaces. And signs of the public's growing trend towards sustainability are everywhere: recycling, electric vehicles, energy-efficient lights and appliances, green energy becoming mainstream, and so on. So carbon offsetting is a great supplement to the changes we're already making in our lives, and its social benefits are substantial. We believe it's an excellent alternative until we can abandon natural gas altogether. Other offsetting doubters claim you can't guarantee that carbon savings wouldn't have happened of their own accord, through other means. This is the concept of additionality: accurately measuring how much carbon would've been released had the project not been started, and using that as a baseline to measure the project‘s effect. Additionality is indeed a challenging factor to estimate, which is why offsetting providers and carbon standard bodies work together to make sure its done effectively. Some offsetting companies actually guarantee the offsetting, so if a particular project doesn't meet its target they'll do it through alternative programs. 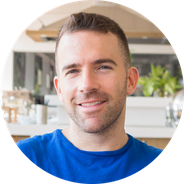 Will your offsetting projects change? Good question. Yes, they probably will. As we grow, our Super Green Octopus customers will rely on us to offset their CO₂ output. Rather than restricting ourselves to one particular project, we want to remain open to new and innovative ways of sequestering carbon and helping communities. That way we can choose what's best for our customers and for the planet.